§ 90-171.38. - Standards of nursing programs. § 90-171.44. - Prohibited acts. § 58-50-25. - Nurses' services. A certificate of completion (not certification) is issued by the program and must be retained by the SANE as evidence of meeting education and clinical practice requirements. Education/training must be based on the national recommendations of the International Association of Forensic Nurses (IAFN). Voluntary SANE Certification, if desired, can be obtained through IAFN’s Commission for Forensic Nursing Certification which currently offers professional credentials as Sexual Assault Nurse Examiner-Adult/Adolescent (SANE-A®) or Sexual Assault Nurse Examiner-Pediatric (SANE-P®). SANE nurses who have not practiced for two or more years or completed an out-of-state online SANE training, must complete a minimum of 24-hours of SANE training. The training must be based on the national recommendations of the IAFN and include North Carolina specific SANE practices, such as the evidence collection kit, current state forensic practices, and North Carolina law and rules. 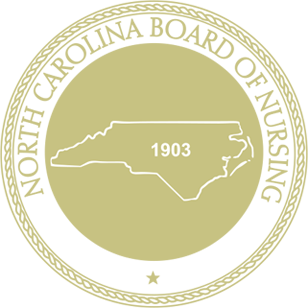 Complete an 8-hour curriculum focusing on North Carolina specific SANE practices, such as the evidence collection kit, current state forensic practices, and North Carolina law and rules. Questions regarding Sexual Assault Nurse Examiners may be emailed to Education using the Contact Us Form.